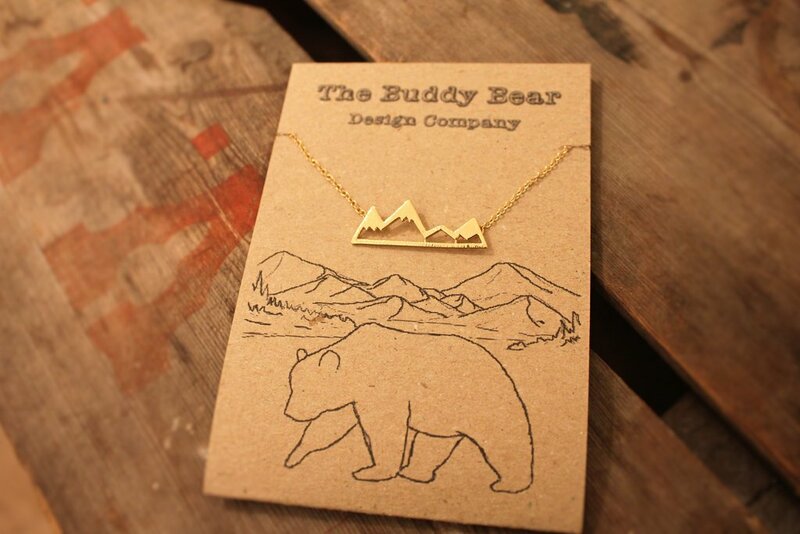 Today's prize is in collaboration with Buddy Bear Designs one lucky person has a chance of winning their Gold mountain necklace. This cute gold plated mountain pendant on an 18 inch gold plated chain is an ideal gift this Christmas for those that love delicate pieces of jewelry. The Buddy Bear Design Company donate 10% of the sale of this necklace to the Trees For Life charity. Their packaging is made from 100% recycled and biodegradable material too. My niece, she's 11 years old but would love this! Can I be greedy and keep it for myself, its gorgeous! I'd probably keep it for myself!!!! I'd gift it to my mother in law for christmas! To my daughter, she would love it. Um...I would keep it! Not being totally selfish, just something I know I would wear loads! Sister and mum prefer chunky necklaces. Thanks for this, if I won I would give it to my daughter. My daughter she would love it! It's beautiful, I'd give it to my best friend.